Today we welcome the #April12thMGShelf, a group of middle grade authors debuting on April 12th, 2016--two of whom are our own Kidliterati bloggers! Read on to hear them interview EACH OTHER about their books, writing, and all things kidlit!!! And stay tuned for a MASSIVE giveaway below! 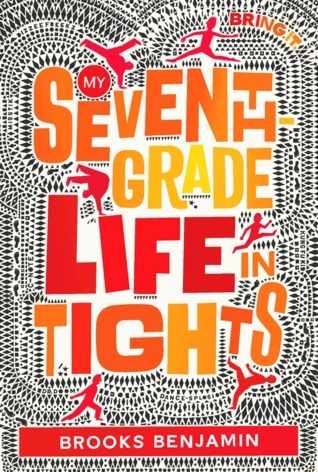 MELANIE: Brooks, what compelled you to write about dancing in MY SEVENTH-GRADE LIFE IN TIGHTS? BROOKS: I was on a dance crew in middle school and we were destined for breakdance glory. Or we would've been if we were any good. The idea of a self-taught dancer trying to make his name in the world of dance was just too good of an idea to not write about! BROOKS: Okay, Laura, coming up with one poem is hard enough, but your book is packed with amazing poetry. How long did it take you to write an entire novel in verse? LAURA: I started the book in 2008 as a short collection of poems, one for each character in a fifth grade class. Like a fifth grader, THE LAST FIFTH GRADE OF EMERSON ELEMENTARY experienced some major growth spurts. I spent one summer drafting three to five poems a day, hoping some would be good enough to keep. LAURA: Shari, TREASURE AT LURE LAKE reminds me of summers spent in the Catskill Mountains. Setting is such an important part of Bryce and Jack's story. What's the funniest or scariest thing that's ever happened to you while you were camping or hiking? Did that story make it into your book? SHARI: Yes! One of the crazier experiences I've had in the Rocky Mountains was when my husband and I rode his motorcycle and went camping where TREASURE AT LURE LAKE is set. We were dressed and prepared for a sunny June weekend. But the first night, the most awful storm unleashed on us and caked our tent in ice. We were totally unprepared for the weather and froze as we, still in shorts, packed up early in the morning since we couldn't sleep anyway and rode back down the mountain to escape the cold. Jack and Bryce get to experience a similar miserable night in the book, but they don't get to escape it. SHARI: Melanie, I'm wondering how you were able to get inside the heads of your main characters to write about such a tender, scary and heartbreaking subject in an authentic way? MELANIE: The neuroblastoma community is very supportive and dedicated to sharing information with each other. Many families maintain blogs that chronicle their experiences, so that others can benefit as they search for new and better treatments. I started reading these blogs long before I wrote COUNTING THYME, because a neighborhood boy had been diagnosed with NB. It was heart-breaking to follow their story, but it left a lasting impression on me as to how families survive these trials with grace and love. MELANIE: Shari, I loved the complicated sibling relationship in your book. My boys have a love hate thing going on. What inspired you to write about brothers? SHARI: I have four sons. Three of them are in the preteen/teenage years, and my first thought when I sat down to write a book was that I wanted to write one for them. One that might be a fun adventure or an exciting read. 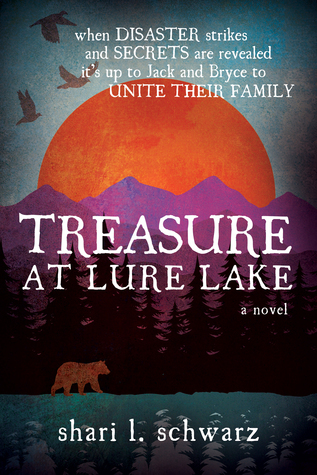 My boys definitely have all the tell-tale markings of sibling rivalry but the brothers in TREASURE AT LURE LAKE are not modeled after my own boys. Jack and Bryce in the book have much deeper issues to work through in their relationship. At times, when I was immersed in the writing process, I felt like I had six boys! SHARI: Brooks, your book has a lot of dialogue which is great and keeps the pace flowing well! I was wondering how you kept all the characters' voices distinct? Do you have any tips for writers that help with writing dialogue? BROOKS: I love imagining actors who I feel could play the roles in the movie versions of my stories. Sometimes these actors are big-named Hollywood types and sometimes they're people I know who the character may be loosely based on. Getting into their heads helps me keep their voices consistent throughout the story. Another thing I always do is act out my dialogue. When I have a series of exchanges I read it out loud to get a sense of how it flows and sounds. It's amazing how much that helps. 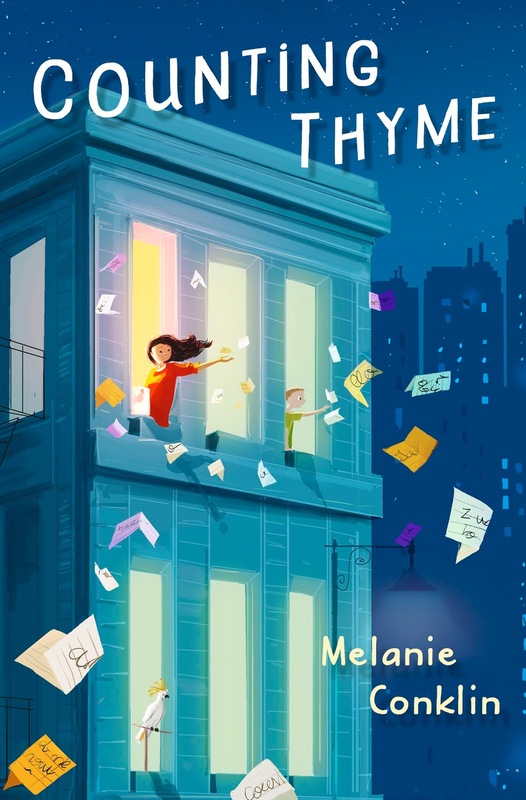 BROOKS: Melanie, the "time jar" Thyme uses is such a brilliant idea. When you were growing up, did your parents let you do something similar to earn rewards and goodies? MELANIE: Thanks, dude! The Thyme Jar is an idea that evolved from something similar I do with my own kids: they get fake paper dollars for doing chores. When they earn enough, they can “buy” certain privileges, like downloading a new game for the iPad. Thyme’s Jar is similar, except she earns “time” slips, almost like IOU’s for lost time from her parents…because their world is so very pressed for time with Val’s fight against cancer at the center of things. 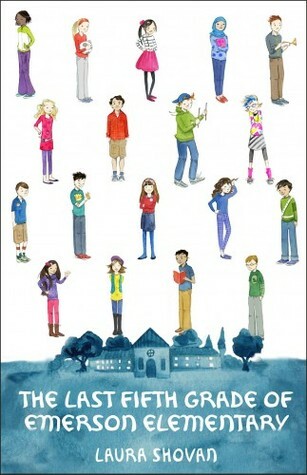 MELANIE: Laura, one of my favorite things about LAST FIFTH GRADE are all of the different kids you portrayed—18 of them! How did you develop so many different voices, when many writers struggle to create a single voice for a novel? LAURA: I'm a huge fan of persona poems -- poems in the voice of a character. They're like little monologues! I have a BFA from NYU's Dramatic Writing Program and, even as a college student, I gravitated toward monologues as a form. One of my revision techniques was to pull out the poems of a single character and work only on those. It helped me to get the right cadence and diction for each character and to develop an emotional arc for every one of the 18 students in my fictional fifth grade class. LAURA: Brooks, after reading MY SEVENTH-GRADE LIFE IN TIGHTS, I'm guessing that music is something you're passionate about. What were you listening to as your wrote your debut? What songs do you think Dillon has on his iPod? BROOKS: Music is definitely a huge part of my life. I created a M7GLiT playlist that I listened to while writing. Some of the artists on there were Awolnation, Imagine Dragons, Matt and Kim, Metric, and Queen. Dillon's music would be a little different. He'd require some pretty heavy-hitting stuff with a fast beat (you know, for his Ninja Freestyling) in the form of all sorts of different mashups. You'd hear plenty of dubstep, you'd hear a ton of drums, you'd hear some electric guitar . . . but you wouldn't hear him yell when he crashed into something in his basement because the music would be too loud. BROOKS: Shari, I'm not a camper, but I love reading books where the characters brave the elements and throw themselves into the den of the wild outdoors. Can you pick one of your favorite harrowing moments from your book and explain to the noob campers like me how they could survive something like that? SHARI: Just like Bryce in the book, I've gotten stuck while rock-climbing without any gear and literally thought I was going to fall and die. I've also worked with kids who have been in similar situations. The best thing is to find the most sturdy ledge near you, hang on, shake out one hand at a time, breathe slowly, tell yourself that you're stronger than you think you are (because you are!) and pray for a way out. Usually panic makes you blind, so it's best to calm down and know there's a solution to every problem. SHARI: Laura, the diversity in THE LAST FIFTH-GRADE OF EMERSON ELEMENTARY is so rich and layered. How did you portray this diversity authentically, and how did you bring such a diverse class together to make them feel like a true community. LAURA: Thanks, Shari. EMERSON ELEMENTARY is loosely based on two schools in my area, Waterloo ES -- where my children went to school, and Northfield ES -- where I have been poet-in-residence for ten years. The schools here in central Maryland really are as diverse as my fictional school. Many children are first or second generation Americans (including my own kids), and/or come from bi-cultural families. On one International Night at Waterloo, there was a poster listing all of the languages students spoke at home. It named more than 20 different languages. I never forgot that! Helping a diverse group of kids come together as a community, that's one of those intangible things that classroom educators do and should get more credit for. In creating the character of Ms. Hill, I was trying to reflect the way teachers foster a community among their students. LAURA: Mel, food plays an important role in your story. There are times when food reflects what's going on with Thyme's family -- food is scarce in the apartment when they're coping with stress. Food is also used by some characters as a way of reaching out to those in need. A casserole or yummy dessert can signal an offer of friendship or comfort. Can you talk about how and why you used food as a thread throughout COUNTING THYME? MELANIE: It’s funny, because I didn’t realize I wrote about food so much until you pointed it out! And I totally do. It’s funny how themes sneak up on you like that. In my family, food IS love. We take care of each other by feeding each other, even when we’re mad or sad. It can take a long time to get through struggles in life, but it doesn’t take very long at all to make someone a cup of tea. The best moments are the small ones, when we let ourselves connect and be true to one another. 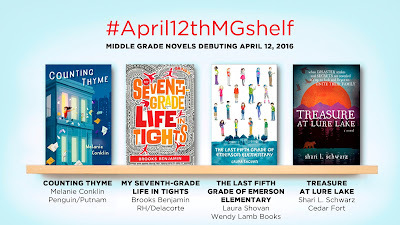 Thank you to the #April12thMGShelf authors for spilling all of their secrets! We can't wait for April 12th! The best news--you can win ALL FOUR BOOKS. Just fill out the Rafflecopter here, or on any of the participating blogs on the #April12thMGShelf blog tour: SubitClub, Kidlit411, Middle Grade Minded, From the Mixed-Up Files...of Middle Grade Authors. ALL of these look SO GOOD! Can't wait for April 12th! Already hearing great things about these titles! Really enjoyed getting to know all the authors and a little more background about TLFGOEE!